By now you’ve heard about the benefits of antioxidants—the compounds that can counter the effects of free radicals (bodily byproducts that can cause damage to cells). Good news: polyphenols, which are a class of bioflavinoids, are rife in green tea. Most of the polyphenols in green tea are catechins, which have been shown to function as antioxidant, anti-inflammatory and anticancer agents. What does that mean for your skin? EGCG, the most prominent catechin in green tea, has been shown to rejuvenate dying skin cells, and can help prevent and treat sun damage. It’s also great for oily skin; one study indicates that green tea helps regulate sebum production and modulate acne breakouts. 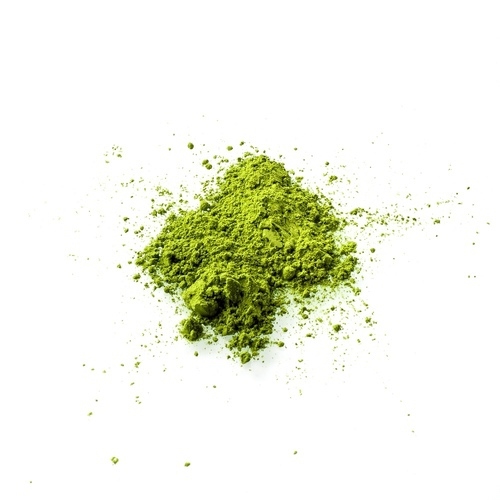 We use the whole plant in powder form (matcha) to deliver maximum skin benefits.